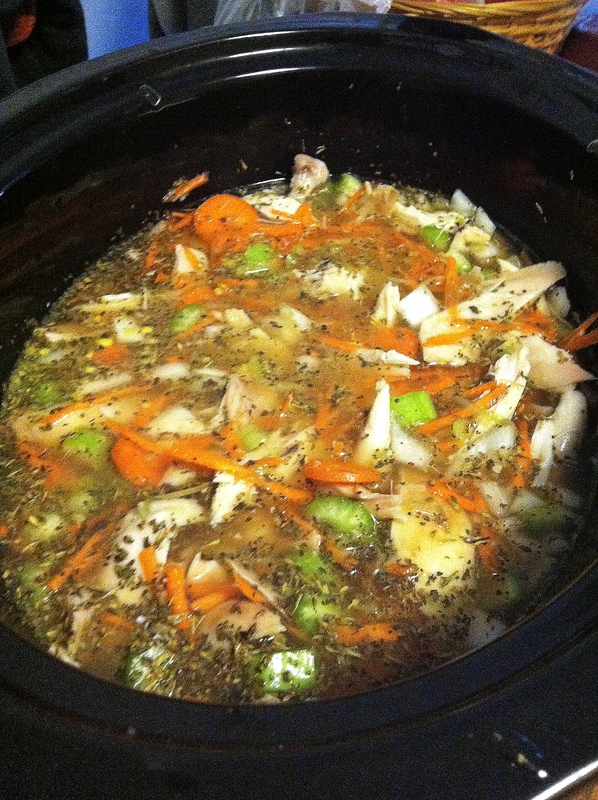 As promised, here’s the crock pot chicken soup recipe! After running the grocery store yesterday morning, I threw everything into the crock pot, ran errands and returned home to a delicious smell that had invaded every inch of the house. It’s not exactly the fastest meal to put together but it is definitely worth it. I then pulled the meat off of the chicken making sure that I peeled off all of the skin and fat in the process. I added that to the crock pot on top of all the veggies. Next, I added the chicken broth followed by oregano and cilantro to season everything. It smelled so yummy! I called my dad at work to double check if I had missed anything and he mentioned that he usually shreds up a bit of the carrots and celery to add extra flavor to the broth. I shredded another carrot and stalk of celery and added it to the mix. 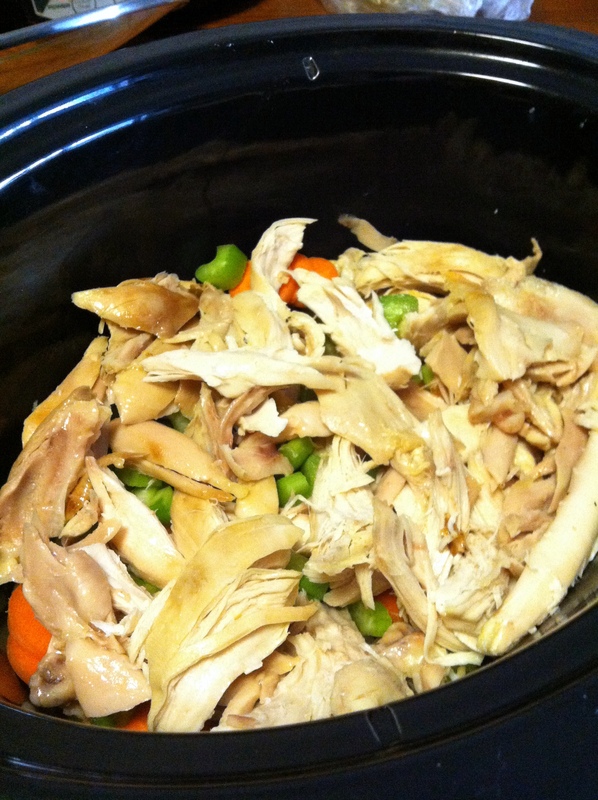 I stirred everything together, set the crock pot on high for six hours and voila! You’ll all done! 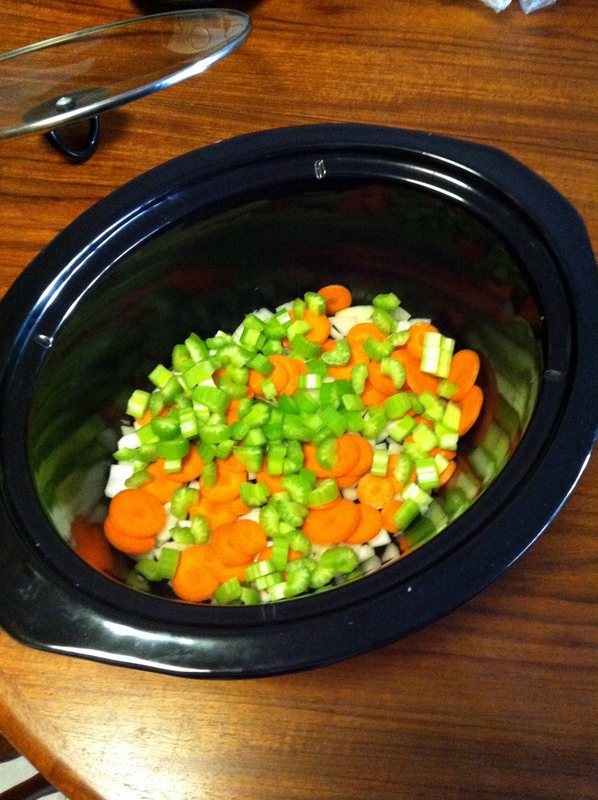 What’re your favorite crock pot recipies? Do you ever crave a certain dish on a hot/cold day? My name is Nicole and I am a 21-year-old student living in Massachusetts. Welcome to my blog! For the Love of Fit follows my life and my interests in food, fitness, family and (mostly) healthy living. Feel free to contact me at loveoffit1@gmail.com! I'd love to hear from you!